Meibomitis or Meibomianitis is an inflammatory condition of the Meibomian glands which is often seen in patients with acne or rosacea. Along the margin of the lids there are a series of small sebaceous glands called the meibomian glands. The meibomian glands create and distribute an oily substance called lipids. Whenever the eye blinks the produced oil coat the tear layer protecting it from evaporation. When a patient is affected by a inflammation the produced oil is less in quantity and worse in quality as a result quicker tear evaporation. In addition, these oils become stagnant and bacteria, usually staph bacteria, colonize inside the meibomian glands. Moreover, these bacteria produce toxins that cause the lids to become red and inflamed. The symptoms are different for each patient but most of the times are similar to common blepharitis. 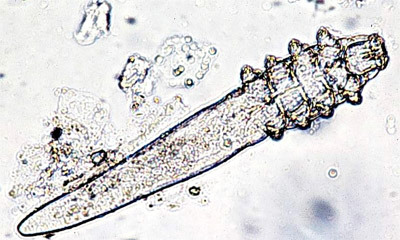 The treatment is similar to common blepharitis treatments. This list below shows the most successful treatments of Meibomianitis. Warm Therapy: In the morning apply clean hot towels for 10 minutes on your eyelids helping oil in the glands to flow more easily. An easier solution is hot therapy via eye masks like Oasis REST & RELIEF Eye Mask. This product is warmed by microwave and no water is needed, simplifying tremendously the procedure. Lid Massage: Massage on your eyelids will help oil to flow more easily, efficiency of this treatment is increased if applied after warm therapy. Lid Hygiene: A lot of cleaning solutions exist for the eyelid margins and eyelashes.The best way to clean your eyes is by using a specialized eyelid cleanser. Blepharitis Wiki recommends to buy OcuSoft eyelid cleanser which leaves skin very hydrated and smooth. More information on the following link or click on the image : Ocusoft Lid Scrub Foaming Eyelid Cleanser. Close your eyes, clean and massage the skin over the eye area every morning for 30 seconds. This cleanser is great also for sensitive skin and it was super effective against my blepharitis. I suggest to remove the soap with water before opening your eyes even thought it does not burn the them. Oral Antibiotics : The purpose of the antibiotics is to not to kill the bacteria but to increase the quality of the oil. Antibiotic treatment might last several months. Only your doctor can prescribe antibiotics. Omega 3,6 & 9 diet: Recent research proved that omega 3 acids diet help meibomian oil to restore its quality and stabilize inflammation. Alternatively for high efficiency and quick result, there is the option to buy omega-3 supplements. Blepharitis Wiki strongly suggest the following link which it is considered one of the best in the world : Dr. Tobias Omega 3 Fish Oil Triple Strength. One capsule every day is enough to relieve from most of meibomitis’s symptoms after 3 weeks and increase efficiency of other treatments. Topical Steroids: Used in severe cases to reduce the inflammation and protect the eye from damage. Only your doctor can prescribe Topical Steroids. What is the difference between Blepharitis and Meibomitis ? Blepharitis generally is classified in two basic forms : posterior blepharitis and anterior blepharitis. Anterior blepharitis affects the outside of the eyelid where the eyelashes attach. Posterior blepharitis develops when oil glands in the inner eyelid allow bacteria to grow. A patient may be affected by both types on the same time. 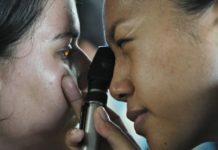 Many times ophthalmologists refer to Anterior blepharitis simply as Blepharitis and posterior blepharitis simply as Meibomitis or Meibomianitis. What is the difference between MGD and Meibomitis ? Many times Meibomitis or Meibomianitis is confused with the term “meibomian gland dysfunction” or MGD. In the 1980s, blepharitis, meibomitis, meibomian gland disease, and meibomian keratoconjunctivitis, among others term, has been used to describe the same condition. However, meibomitis ( or meibomianitis), are more specific to a subset of disorders which is caused due to inflammation. On the other hand, MGD is not necessary related to inflammation. In bibliography meibomitis is a synonym of posterior blephartitis. Who can be affected by meibomianitis ? Meibomianitis affects patients of all ages. It is not contagious and generally does not result in permanent eye damage. It is frequently occurs in people who have oily skin, dandruff, or dry eyes. Is it possible Meibomitis and Dry Eye Syndrome to coexist? Patients with dry eye suffer from decreased tear production or less quality tear which evaporates more quickly.The related symptoms get worse as the day goes on.On the other hand , people who are suffering from posterior blepharitis fill more dryness in the morning hours. These two eye disorders can coexist. 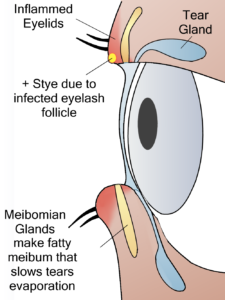 A chronic meibomitis can lead to Meibomian gland dysfunction (MGD) . The inflammation’s products might block the meibomian glands resulting decreased tear production and eye dryness. Are there any food that patients should avoid ? Patients should focus on a diet that is designed to lower inflammation. Processed foods, such as high-fat meats; dairy products; foods that contain sugar; and fast foods must be avoided. Moreover, meat that contains nitrites and saturated fats should be limited or select lower-fat versions. Thanks for the detailed information;before I get afflicted to this disease I had myopia and astigmatism by the low degree but during the process of illness I fill that my eye complication is get worsen gradually, besides my astigmatism is progressed by the time.I’m under medical observation of my ophthalmologist and take local anti-allergic drugs but no revealed has got appeared. 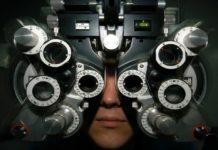 2.5 years ago, I saw a floater in right eye.I got checked and the doctor said that it is common for people suffering from high myopia. I developed dryness for which doctor gave me tears .Moreover, I cleaned my lids with warm cotton swab for a month .After that treatment I got relieved of it. I used smartphone a lot these 3 years. On March this year due to excessive use, i felt like something in my eye. Again, I got checked for floater in other eye but it was OK. Once again my eyes were very dry.I used refresh tears but after 3 to 4 days I could not be relieved. A film developed over eyes with lots of gunk in it. 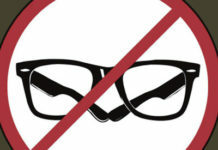 Also photophobia. One day during my cleaning lid with warm cotton, I felt my eyes gritty and tiny bumps were developed on inner lid margin. I went to another doctor.The doctor said that meibomian glands were blocked and gave me ocupol ointment for lids. But I did not apply thought it might go away with tear drops and cleaning lids. But after one week,I went again to my doctor, she told to apply ointment and moxifloxacin drops. After 1 day of moxifloxacin drops felt more dryness so I stopped but applied ointment for 6 days. Felt relief of dryness and stickiness but I feel like i see watery fluid moving in my eyes with some debris flowing in it.I feel like something want to come out of eyes. Should i have used moxifloxacin. What to do? Is there any infection? Will I be cured? Please help. Regarding your symptoms (bumps,gunk,photophobia,dryness etc.) and doctor’s prescription, it seems your eyes are infected. Both Ocupol and Moxifloxacin drops are used in the treatment of bacterial infections. You should have followed doctor’s orders. If your think you are getting worst, visit again your doctor and describe your new symptoms. I remind you that the information provided in this site is for educational purposes only, and it is not intended nor implied to be a substitute for professional medical advice. My extra advice is to focus on a healthy Omega-3 diet and eyelid hygiene in your everyday life as helps against eye infections. Finally, posterior blepharitis can not be cured permanently but symptoms can be controlled if you follow the article’s proposed treatments. I’m sending you warm regards, and I hope that you will get well soon. Very informative article! You are providing the best info and treatment for Meibomitis-Meibomianitis. I really like this article so much. Thanks a lot for sharing.